On this Thanksgiving Eve, I’m super inspired by this news article I discovered today about the Gratitude Graffiti Project. According to thegratitudegraffitiproject.com, this creative effort launched in New Jersey last month is “a forty day practice of purposeful appreciation of one’s life through interactive art.” The project prompts participants to mindfully respond with an artistic or written response of about what you are grateful through post-it notes around town, community gratitude walls, sidewalk chalking, and storefront window marking to engage in the thankfulness together. 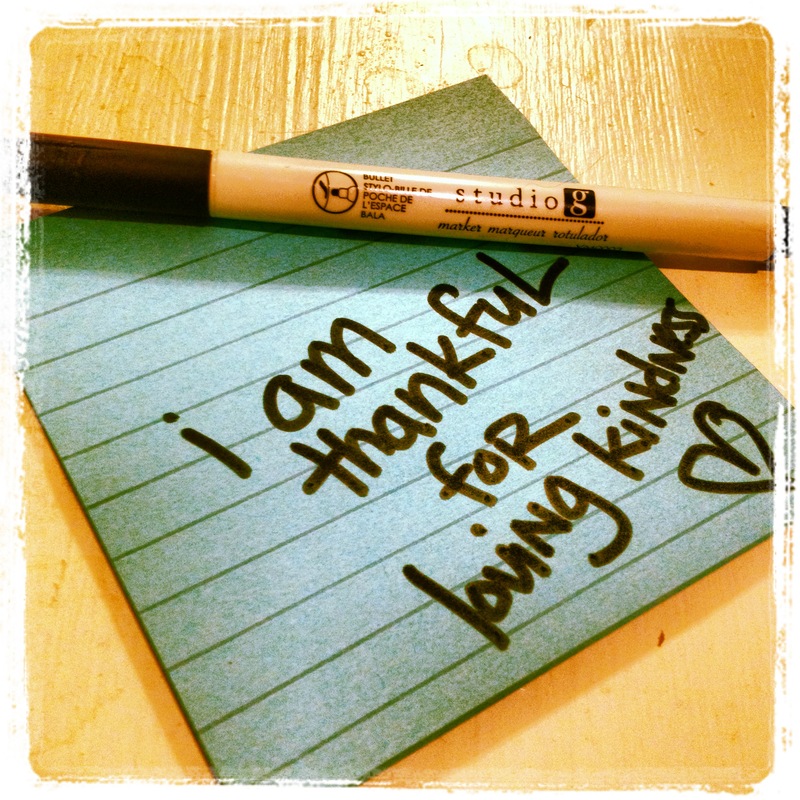 I got out my post-it pad tonight to contemplate and honor what I am most thankful for in this moment…. I look forward to sharing/posting this note of thanks with the world tomorrow somewhere on my way to/from my family’s Thanksgiving get together…. 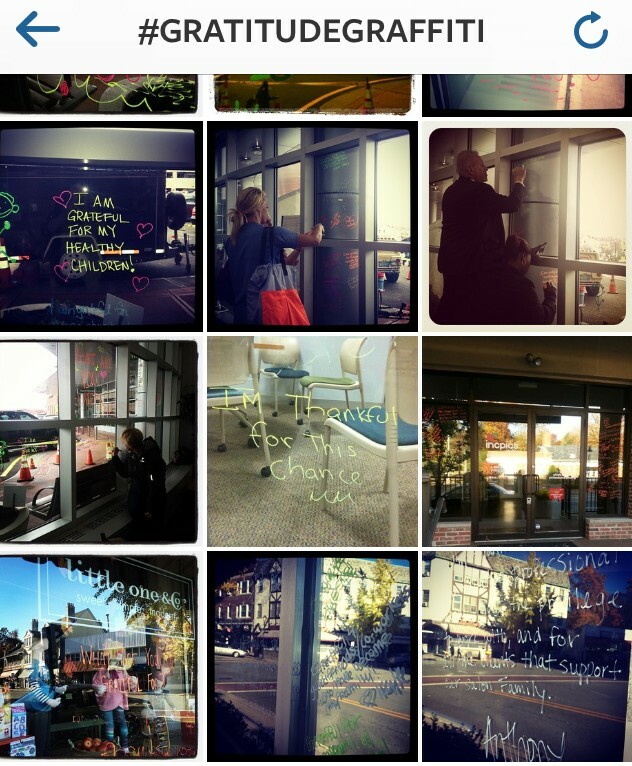 What would you share on a post-it note in the spirit of the Gratitude Graffiti Project?